Preheat oven to 350°F. Line the cups of a mini muffin tin with mini cupcake liners. Make brownie batter according to package directions. 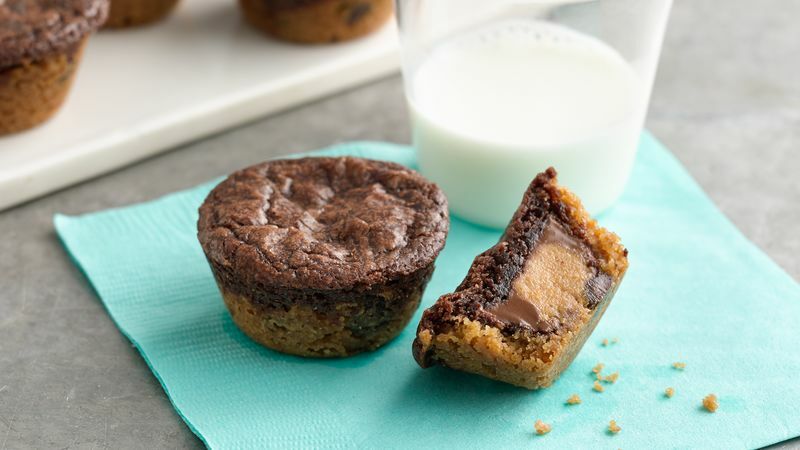 Press 1 teaspoon of premade cookie dough in the bottom of each mini muffin pan, about 1/2 full. Press a peanut butter cup in the middle and pour approximately 1 tablespoon of brownie batter on the top until about 3/4 the way full. Bake for 18-19 minutes. Carefully pop out brownie bites when cooled and serve.